Civic Center Residents Coalition NYC: Here comes the velvet rope - Le Baron - finishing touches on Mulberry St. 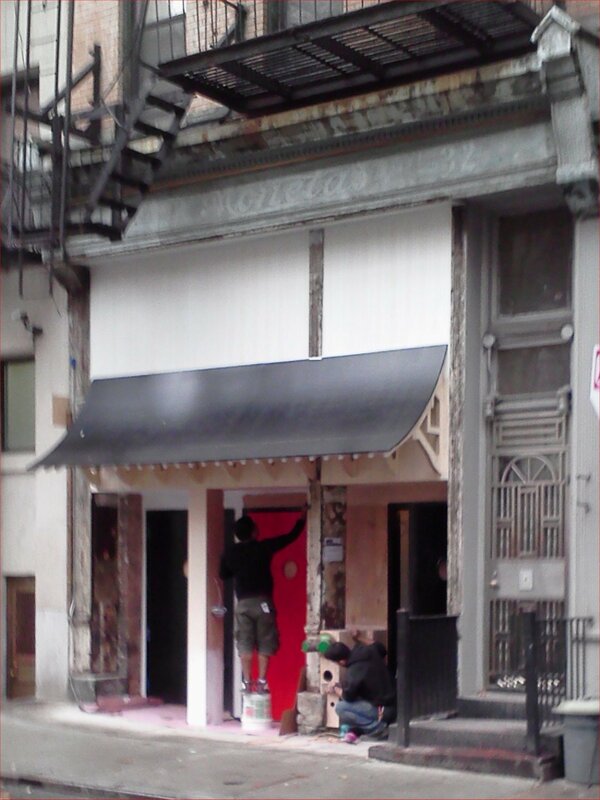 Here comes the velvet rope - Le Baron - finishing touches on Mulberry St.
that was formerly Yello Karaoke bar. And Parisian transplant Le Baron club is hoping to open in the former Yello Karaoke Lounge on the southernmost edge of Mulberry Street by year’s end. “It’s definitely the next Lower East Side,” says West Village resident Patrick Ashby, a lawyer for the Royal Bank of Scotland.Read more: Looks like their permits came through - oh joy. There is no true neighborhood in Manhattan that wants to be known as "the next Lower East Side" , thanks to the proliferation of bars in that formerly quiet part of the City. Given Chinatown's proximity to three bridges and two tunnels we can only imagine what the future will be like with this new addition to the neighborhood. Everyone put "311" and the 5th precinct phone numbers on their speed dial. No, seriously, do it, you'll see why as soon as this place opens. "Saraiva — a nightlife entrepreneur and graffiti artist who once plastered much of Paris with his signature “Mr. A” tag — has already opened a Le Baron in Tokyo, and it’s been smothered in the same blinding hype as its predecessor. There’s no reason not to expect La Baron New York to be just as obsessed over if not more, so we recommend becoming very familiar with the block. Come November, you’ll be standing around there for quite a while in a futile attempt to get in." is this whats needed deeply nested in the chinese community. i doubt it will last too long with the police headquarters just across the park and constantly down that block to get to the precinct block. the park will sure to be overrun by french douches by night. im sure the funeral parlor will love it too.